If you’ve ever seen plastic bottles and paper cups lining the side streets of a marathon, it won’t come as a surprise that running en masse can be a dirty affair. But the Cape Town Marathon aims to change that. Over the years, major sporting events have acknowledged the impact races and thousands of athletes have on the planet — even during single-day events. 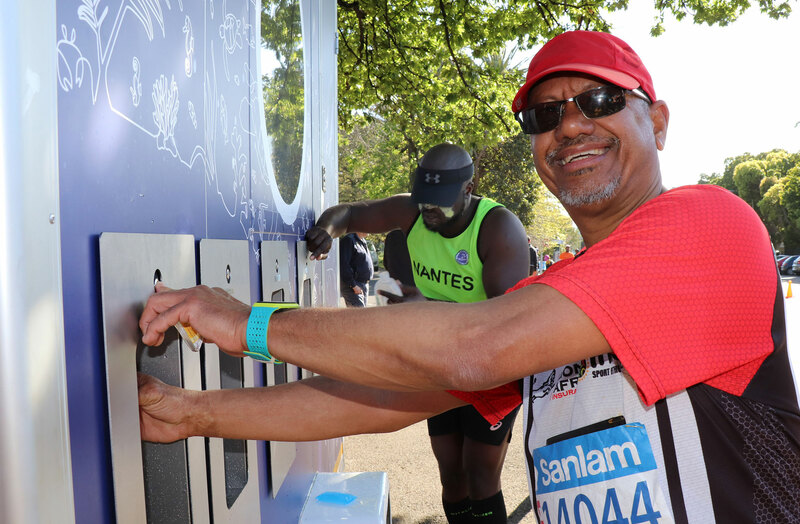 Now, international races like the Cape Town Marathon are taking serious steps to go greener. “Sports waste is clearly a huge problem and a contributor to 1 million disposable plastic bottles produced every minute, with the majority ending up in a landfill,” said Anders Jacobson, global president of Bluewater, which supplied mobile water stations for the 2018 Sanlam Cape Town Marathon. Some races have moved away from throwaway bottles or cups at aid stations that runners grab and promptly throw on the ground. Others have completely eliminated single-use containers, asking that athletes bring their own reusable bottles or bladders. Additionally, race directors are committing to reducing the footprint these races make with recycled race bibs, souvenir T-shirts made from plastic bottles, and even carbon offsets. 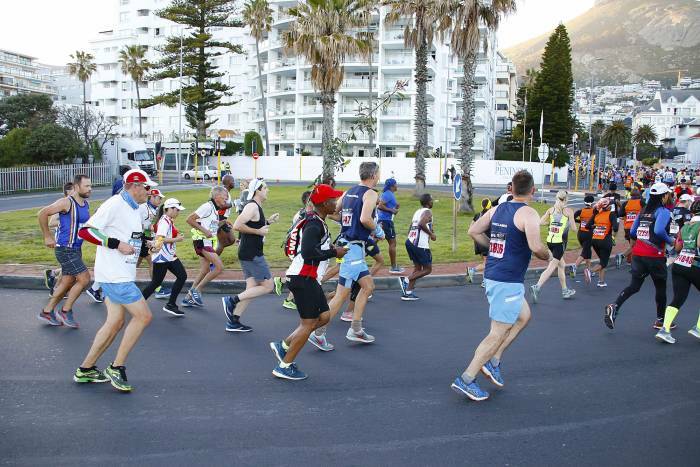 But no big distance events seem to have taken it as far as the Cape Town Marathon in South Africa, which last month welcomed over 22,000 runners from 80 countries. Organizers measured the marathon’s carbon footprint from start to finish. After calculating the actual impact athletes traveling to the race make, the race purchased carbon credits to offset it all. Now, the race holds a climate-neutral certification as well, according to Cape Town Marathon director Janet Welham. 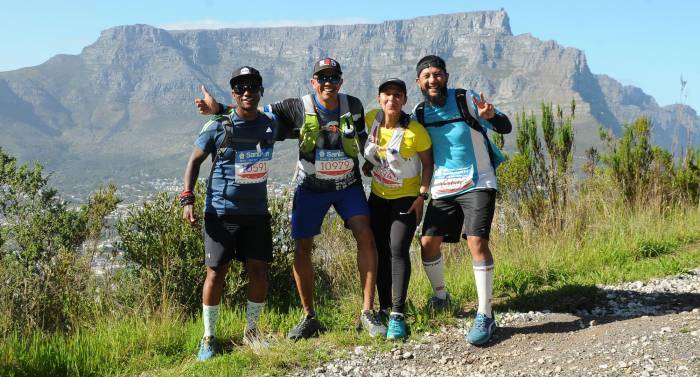 She said the “greenest marathon on Earth” is a title that others bestowed on the Cape Town Marathon after the event won numerous environmental prizes. For example, this year the 26.2-mile race “podiumed” in the South African Eco-Logic award’s climate change category. A year prior, Cape Town Marathon won the Association of International Marathons and Distance Races (AIMS) Green Award for the best environmental practices. After undertaking an extensive waste-management effort, the Cape Town Marathon now sends nothing to the landfill. “For an event our size, this is one huge achievement,” said Welham. 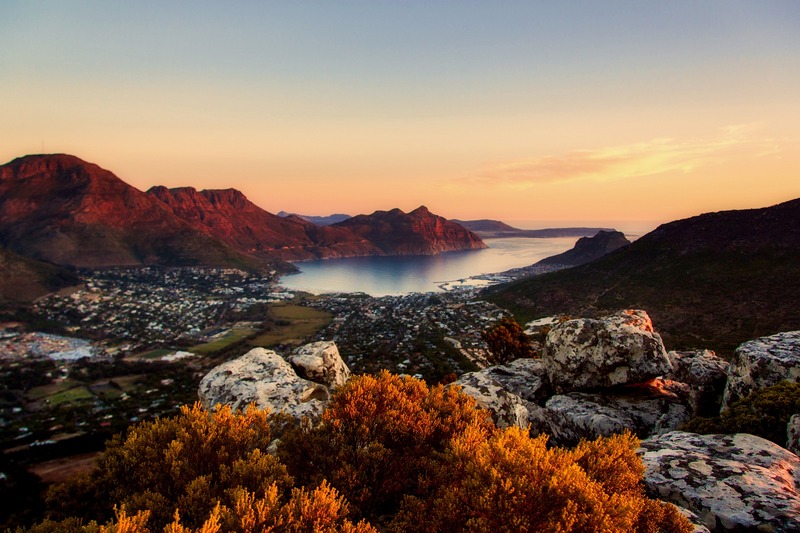 Besides carbon offset and waste elimination, water use is a huge challenge, especially when Cape Town is under especially high water restrictions like it was for this year’s race. It means “running a gold label-status event without having any impact on the municipal water grid,” said Welham. But the marathon did just that. 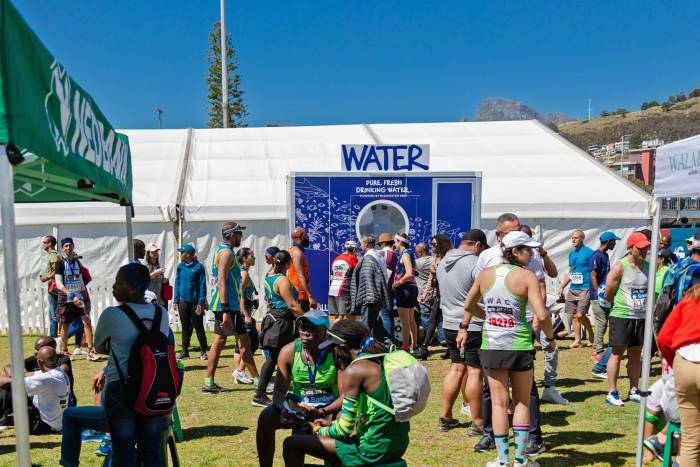 This year, it used Bluewater mobile water stations — two along the route and two at the finish — for freshwater fillups. Bluewater is a multinational water purification company that’s expanding into the sports world. Its technologies turn just about any potable or nonpotable water source into clean drinking water. 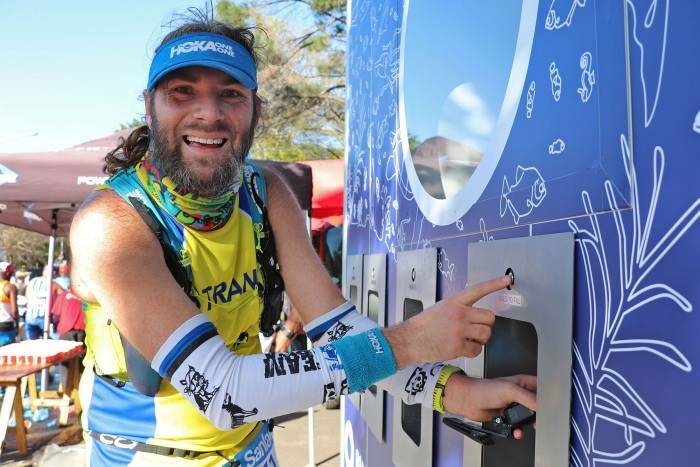 Runners pressed a button on the Bluewater trailers to quickly load chilled water into hydration packs or water bottles. Supporters also used the pods to hydrate while waiting for runners to finish. It was the first large-scale sports event in South Africa to use the hydration system for athletes. Water dispensed from Bluewater systems saved the equivalent of 2,600 standard water bottles in this year’s race alone. Finally, to spread the green message to more athletes, the Cape Town Marathon promotes an initiative called Run Green. It shows runners exactly how to recycle, reuse, and reduce their own footprints — with challenges to push others to do so too. September is springtime here, and marathon weather is typically mild. That usually means good PR potential for elite athletes and a solid first-time experience for novice marathoners. But the stunning location is both the draw and the drawback. 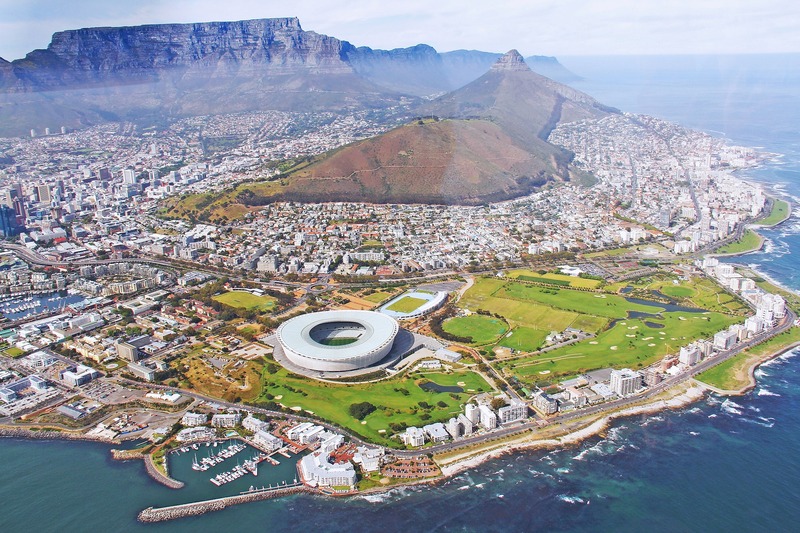 International athletes must travel far to get to Cape Town. And that will always make a bigger footprint. Water scarcity will remain an issue for South Africa too. Yet the race’s raw, remote beauty is what makes it special. Welham said Cape Town leaders are compelled to protect the sea, rivers, mountains, and parks that make the course a bucket-list marathon for many athletes around the world. Cape Town Marathon registration opens February 1, 2019.